For obvious reasons we are accustomed to thinking of biblical texts on papyrus and parchment (the most obvious reason is that most biblical texts were in fact written on papyrus and parchment). Among the minuscules we also find manuscripts written on paper. We may also be vaguely aware of biblical texts written or inscribed on other material (ostraka, inscriptions etc. ), which are of significant interest on the liminal margins of the book culture of early Christianity (for a survey of this material [which never once uses the word "liminal"] try this). Among OT manuscripts we also have material on lead and silver. Two other types of material are of interest. One is the wax tablet. These are reasonably common, and were used for teaching, composition, and even semi-permanent records. 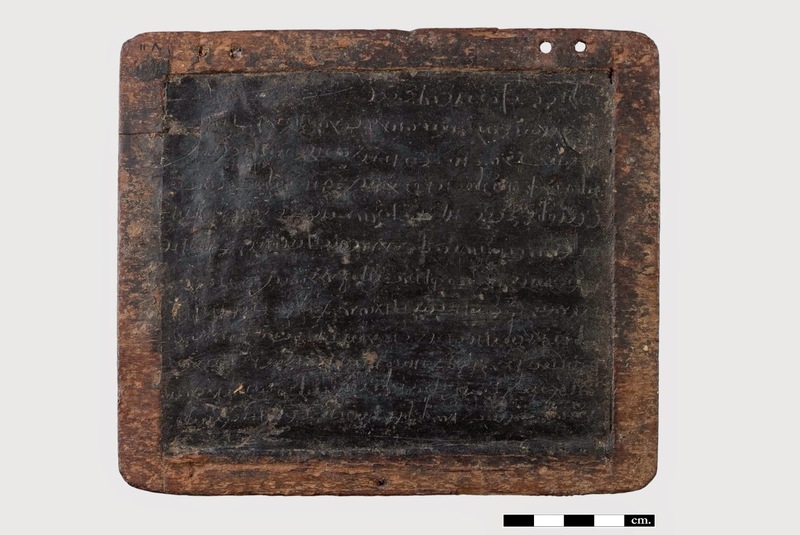 As far as I am aware (feel free to correct me), there are very few examples of tablets with text from the NT, and none in the Liste (although there is an interesting set of discussions about the compositional possibilities of wax tablets and the gospels here and here and here). For possible examples, both containing portions of the Lord's Prayer see P. Baden 4.60 (van Haelst 346); van Haelst 349 (unedited). 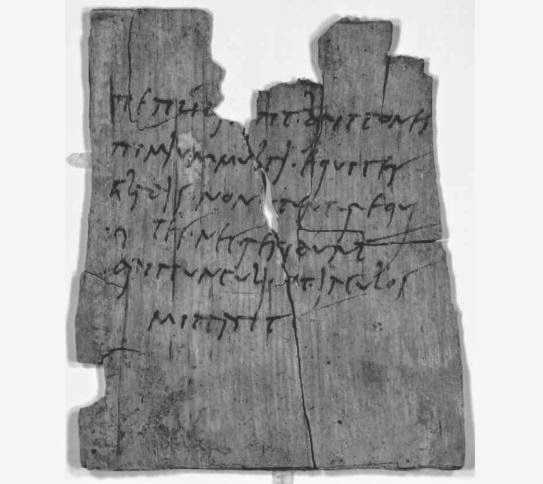 There are no biblical texts from Vindolanda, but it may well be the case that wooden surfaces were used more widely in Europe. Recently 915 texts on wood and bark were excavated from Novgorod, and among the many more there may well be Christian texts among them. 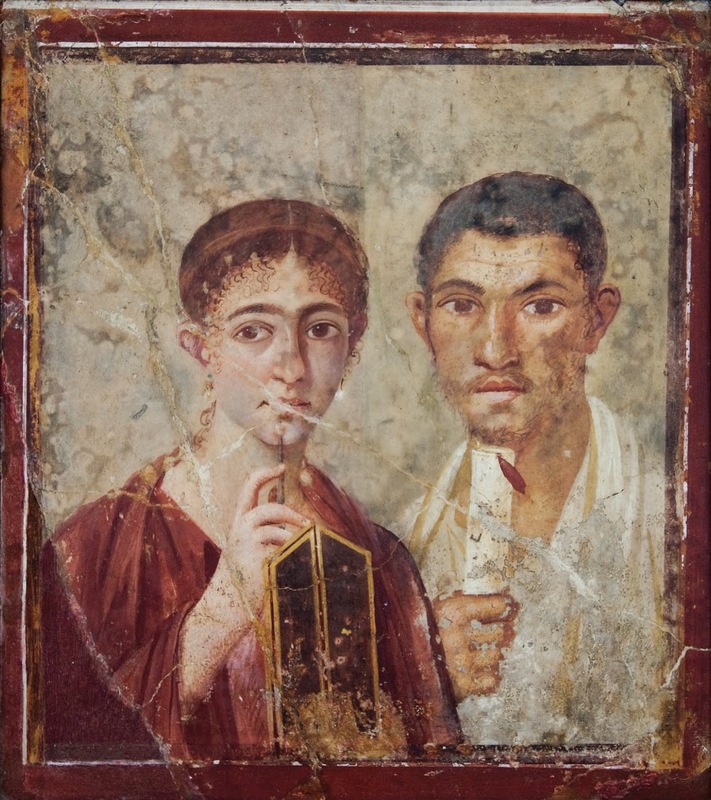 The first editors, Grenfell and Hunt, dated the papyrus to 300-375 CE. Nestle-Aland gives the date 200-300 CE, whereas Orsini and Claryssee date it to 250-350 CE. Editio princeps: B. P. Grenfell & A. S. Hunt, Oxyrynchus Papyri XIII, (London 1919), pp. 8-10. IGNTP transcription is available here. More about Gifford Combs here and here. Differences between early Nestle editions of the New Testament? Nestle’s first edition (1898) involved the mechanical process of comparing the text of Tischendorf with that of Westcott & Hort. When they agreed Nestle printed the text; when they disagreed he consulted R.F. Weymouth (1892) and printed the majority decision. 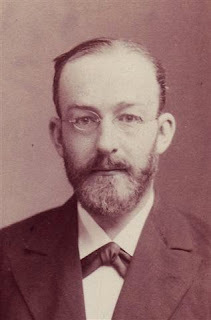 Then for the third edition (1901) he discarded Weymouth and instead used B. Weiss (1894-1900) for the casting vote. Presumably that required some changes in the printed text, although it is said that these were limited to ‘only the most important alterations’ until the thirteenth edition (1927), where Nestle finally reviewed the text to make it fully confirm to the majority principle. This narrative (based on Aland and Aland, The Text of the New Testament, 19f) suggests that the text of Nestle must have had three different forms reflecting these three editions with revisions. But in a footnote the Alands also say: ‘the old plates of the 1898 edition remained in use for the Nestle text even through the twenty-fifth edition’ (p. 20 note 46). So can anyone who knows about all this enlighten me a bit further? 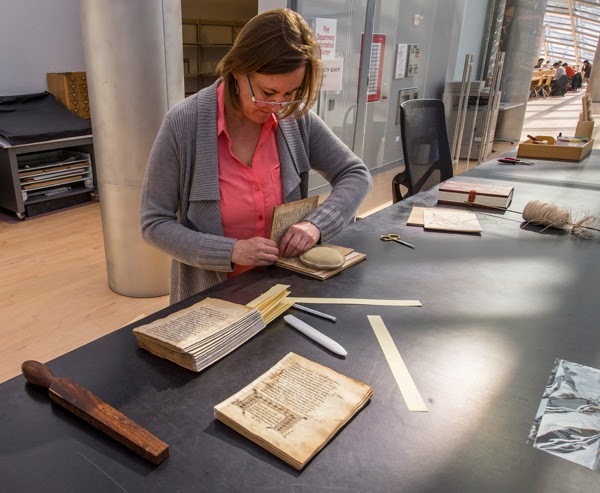 A helpful discussion with illustrations of the recent re-binding of one of the manuscripts in the Goodspeed collection in Chicago (connected with a project to put complete digital images of all the Greek manuscripts in the Goodspeed Collection). Just a note that there are around one hundred posts for this blog that are still in the “draft” state. You may well have some treasures hidden away in there. I have done a little bit of checking some of the ones under my name and either up-dating them for posting or deleting them. In a month or two I will probably do a more ruthless cull. Be warned. I can’t stand untidiness in any form. 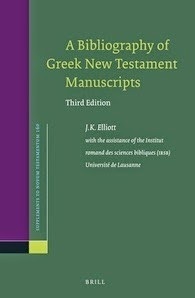 The third edition of A Bibliography of Greek New Testament Manuscripts by J. Keith Elliott, with the assistance of the Institut romand des sciences bibliques (IRSB) Université de Lausanne, has been published by Brill. This is a must-have tool. This bibliography is a comprehensive listing of books, facsimiles, collations and articles relating to some 3,500 Greek New Testament manuscripts, including references to photographic plates and albums. These are divided into the conventional categories of papyri, majuscules, minuscules and lectionaries, as classified in the current Gregory-Aland register. This third revised edition supersedes the two previous editions. Entries from those earlier editions and from three supplements, published as articles in Novum Testamentum, as well as newly published material, are to be found here. Two interesting links to discussions of dirty manuscripts. It is exciting to find a scribal fingerprint - it always evokes in me a sense of connection. I found a really good one last year in the Codex Climaci Rescriptus. To this list I would add wax which is often found in biblical and liturgical manuscripts and can reveal patterns of usage (and I seem to recall it is mentioned negatively in a monastic rule), see some good examples here; as well as glue, which is often found on small fragments re-used in bindings (cf. e.g. here). 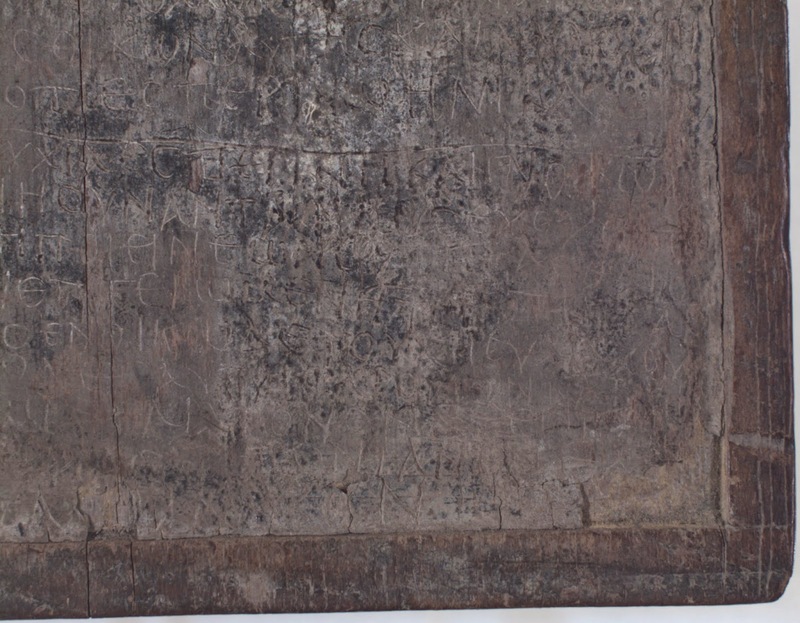 For more background: AnneMarie Luijendijk, ‘Sacred Scriptures as Trash: Biblical Papyri from Oxyrhynchus’” Vigiliae Christianae 64 (2010), 217-254. This is a story about how difficult it can be to get the data right even before starting to ponder the original wording of a text. I am only interested in the two verbs, whether they are singular or plural. 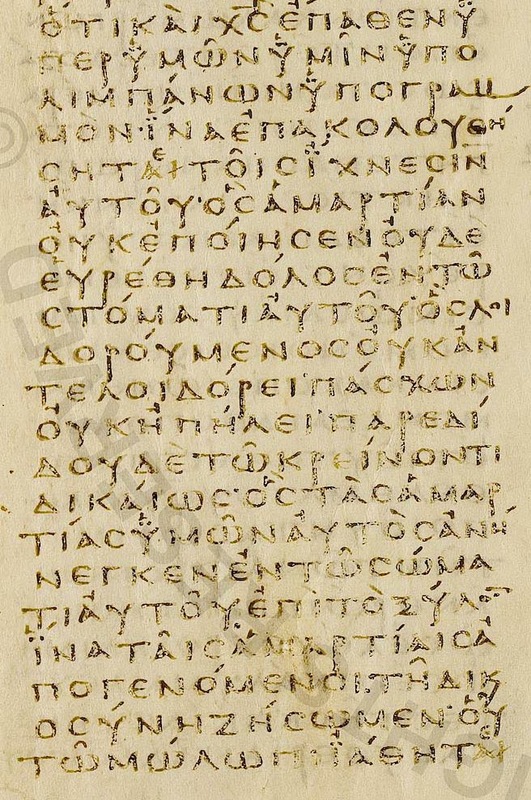 In the apparatus of NA28 we learn that, among others, Codex Sinaiticus (א*) supports the singular verb, though with a minor variation, as indicated by the round brackets. In Appendix II we learn that א* actually reads προσευχη ουκ εσεσθε. That is, a singular verb προσευχη followed by the plural εσεσθε. The second corrector supports the text. There are sorts of things wrong here. First of all, why is א* given as support for the double singular reading as, arguably (having one of each), it can be forwarded as support for the double plural reading? The transcribers of Sinaiticus on the Codex Sinaiticus website get it right, as usual. Here corrector Ca is made responsible for the intralinear correction of προσευχη to προσευχησθαι (itacism for προσευχησθε), the remainder of the text as visible on that line is the work of the first corrector (אa [or 1]), while the erased text of א* is unreadable. As you can see on the image, a rewriting starts from the third letter onwards, where we have indications of something being scratched off the parchment before the current writing. 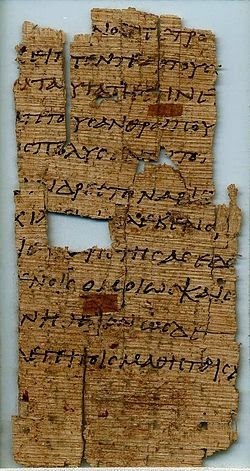 The parchment is rough till the end of the line and even torn at the final epsilon of εσεσθε. What can we say about the erased text of א*, except that it was erased quite efficiently? The original version had something that started with προσευχησ-. It seems clear to me (and Tischendorf) that the omicron of ουκ is created out of a lunar sigma Ϲ. But is there space on the line to have the version with the two plural verbs? I don't think so, since it would require an extra two letters to be accommodated on the line which is already wider than average. That means that if the first version had two plural verbs, the first of these (and only the first) was already corrected in scribendo, that is before the next line was written. For once, Tischendorf is not much of a help in suggesting that perhaps the original error was made from -σθε to -σθε. Though this is possible, it means, again, that the error was caught and mended before the writing of the next line, and only after almost the whole line had been filled up. His scenario requires that in addition to messing up the original line, the scribe also messed up the correction, by forcing the first verb into a singular (even though originally he had it right). אca: προσευχησθαι (read προσευχησθε; remainder of the line untouched). Interestingly, this suggest that א* may have intended to write the double plural before messing up, and that (I am slightly increasing the speculation value), whilst clearing the mess, the same scribe but now in the guise of the first corrector, messed up again. Anyway א* is closer to the text of NA28 than to the variant in the apparatus, despite what the apparatus tells you, אa can be read as supporting either wording but should probably figure as a separate reading, and אca [or] 2] supports indeed the reading as given in the text. Burney MS 34, Catena on the Octateuch (Rahlfs 424), and additional theological texts. Italy, N. E. (Veneto? ), mid-16th century. Burney MS 48, Commentaries of St John Chrysostom on the Pauline letters, followed by the Catholic Epistles (Gregory-Aland 643; Scrivener act 225; von Soden α 1402, X40), in two volumes, Burney MS 48/1 and Burney MS 48/2. 11th-12th century. Burney MS 408, Palimpsest, the upper (14th-century) text being homilies of St John Chrysostom on Matthew and John, and the lower fragments of a 10th century Gospel lectionary (Gregory-Aland l 338). Egerton MS 2610, Four Gospels (Gregory-Aland 700). Canon tables in architectural frames in gold and colours (ff 3v-4r, 5v-6r, 7v-8r, 9v-10r). 4 miniatures of Evangelist portraits in colours on gold grounds (ff 12v, 91v, 144v, 230v). Large headpieces in colours and gold, with foliate patterns and birds (f 13r), and 4 large initials in colours and gold, at the beginning of the Gospels (ff 13r, 92r, 145r, 231r). Initials in gold. Simple head- and tailpieces in gold. Chrysography. 11th century. Egerton MS 2783, Four Gospels, imperfect (Gregory-Aland 714). 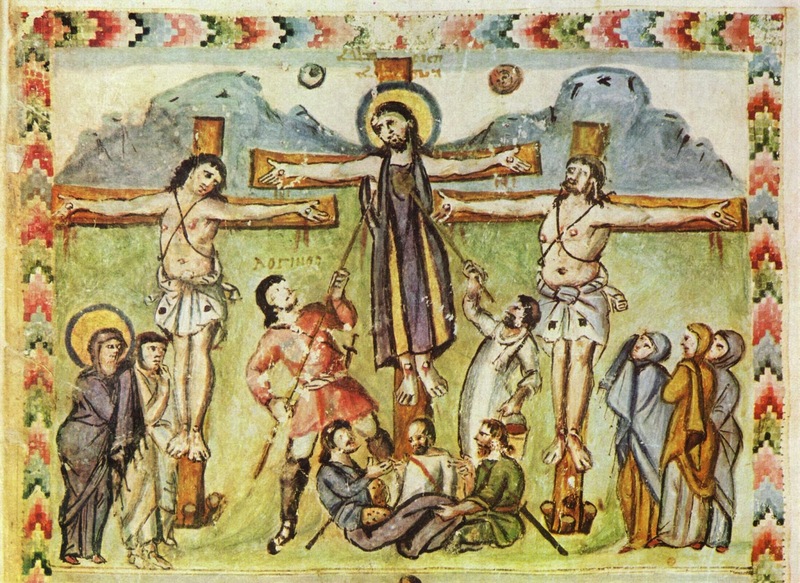 12th-13th century. 7 full-page miniatures in colours on gold grounds of the symbols of the Evangelists and Evangelist portraits (lacking a portrait of Luke) (ff 13r, 13v, 106r, 106v, 166v, 264r, 264v). Canon tables in red in frames, with foliate decoration (ff 5r-9v). Large headpieces in red with foliate patterns. Large initials in red with penwork decoration. Small initials in red. Simple headpieces in red. Text and rubrics in red. 18th century binding of brown stamped leather, with blind tooling and gold edges. On the inside of each cover there is a portion of a 13th-century manuscript of the Sententiæ of Peter Lombard. 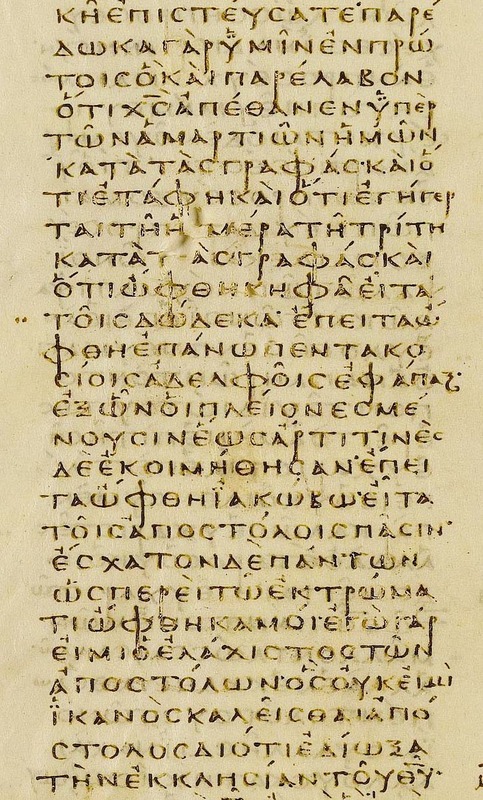 Harley MS 5785, Gospel Lectionary (Gregory-Aland l 151), with ecphonetic notation. 12th century. 3 evangelist portraits in colours and gold of Matthew, Mark, and Luke (ff 66v, 143v, 187v). 18 headpieces in colours and gold with animals, birds, and/or floral and foliate motifs (ff 1r, 67r, 104r, 144r, 202v, 234r, 246r, 274r, 281r, 298v, 313r, 320v, 325v, 328v, 332r, 340r, 344r, 353r). 1 very large initial in colours and gold (f 289v). Major initials in colours and gold, some with anthropomorphic designs (e.g. 3v). Titles in gold capitals written over red. Marginal notations in red. Harley MS 5796, New Testament (Gregory-Aland 444; Scrivener evan. 444, Act. 153, Paul 240; von Soden δ 551). 1st half of the 15th century. Headpieces with geometric and foliate decoration and initials with foliate decoration in gold and/or colours (ff 2r, 44r, 73r, 121r, 163r). Titles in display capitals in gold or red (ff 2r, 44r, 73r, 121r, 163r). Rubrics, decorated initials and scholia in red. Royal MS 1 B II, Old Testament: Major and Minor Prophets of the Septuagint version (Rahlfs 22). 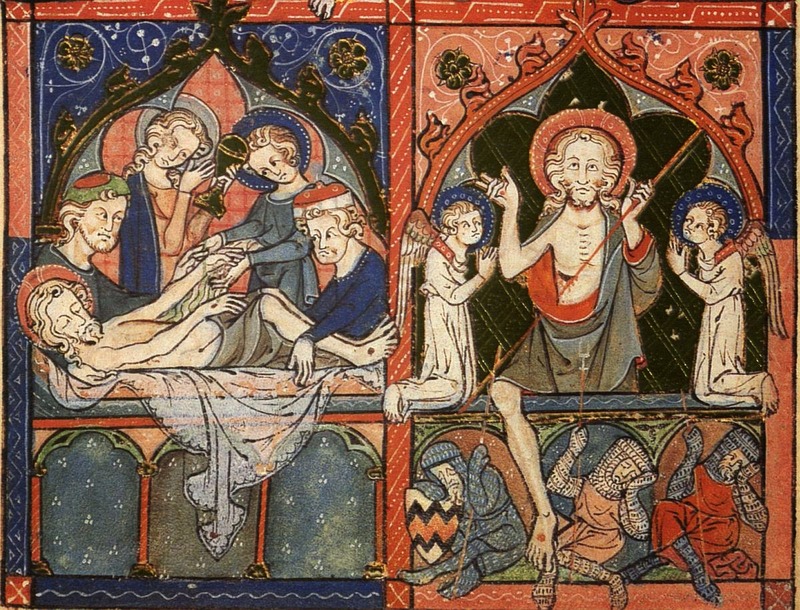 1st quarter of the 12th century. Headpieces, initials and titles in carmine ink. Royal MS 2 A VI, Psalter (Rahlfs 175). 12th century. Illuminated headpieces at the start of Psalms 1 and 77 (ff 22r, 154r). In 1909 Amling proposed a single-letter emendation to read 0Ihsouj rather than 0Ihsou= at Phile 23, and thus allow complete agreement in those sending greetings in Col 4.10-14 and Phile 23f (‘Eine Konjectkur in Philemonbrief’). The passage would thus read as follows: ‘Epaphras, my fellow-prisoner in Christ greets you; (as do) Jesus, Mark, Aristarchus, Demas and Luke, my co-workers’. In support Amling observed that in Philemon the normal expression is simply ‘in Christ’ (cf. v8, 20), and that Paul is not consistent in always adding ‘Jesus’ in such expressions concerning terms like ‘prisoner’, ‘slave’, or ‘fellow-prisoner’ (Rom 1.1; Phile 1; cf. 1 Cor 7.22; Gal 1.10; Eph 6.6; Rom 16.7). This conjecture was supported by Lohse (Colossians and Philemon, 207: ‘highly probable’, and note 16); Ollrog (Mitarbeiter, 49: ‘höchstwahrscheinlich’); Knox (Philemon, 13: ‘plausibly argued’), and most recently Campbell, Framing Paul, 280f: ‘seems highly plausible’, although Campbell does not refer to the earlier discussions). However, despite the advantages which result from this reading, and the simplicity of the proposal (concerning only a single letter); against it stands not only the general caution against adopting conjectural readings (especially those which smooth an obvious interpretive difficulty) – hence the description of the proposal as ‘arbitrary’ (Fitzmyer, Philemon, 124) or ‘Willkür’ (Gnilka), or as standing against the whole textual tradition (Stuhlmacher, Philemon, 55; confirmed recently by Solomon, The Textual History of Philemon, 562); but also the specific problem that in Pauline circles, and especially in a greeting, it is most unlikely that an undisambiguated ‘Jesus’ would stand for the personal name ‘Jesus Justus’, so Dunn, Colossians and Philemon, 343 note 2 and Gnilka, Philemon, 92 note 8 (cf. the broader issues canvassed in Bauckham, Jesus, 67-84).